If you have any questions, please call us at 1-888-377-8282 or email us at info@restorsea.com. 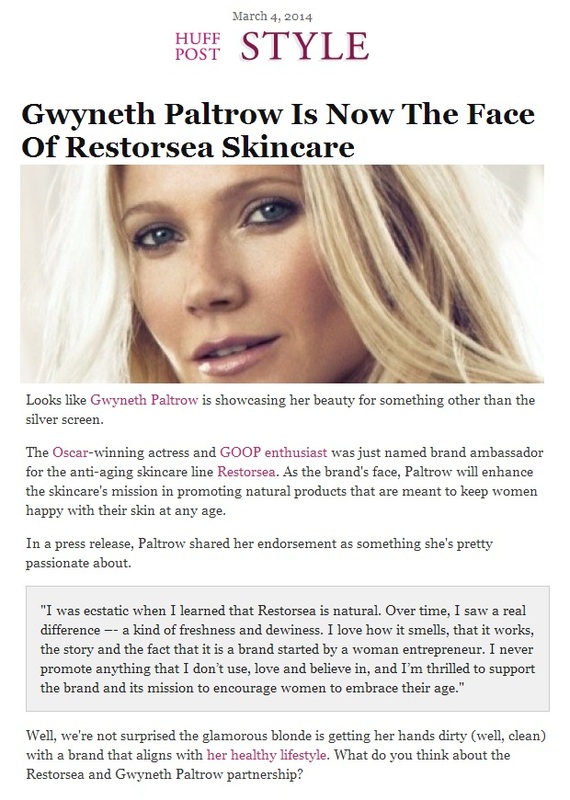 Restorsea's partnership with Gwyneth Paltrow is featured on Huffington Post.com in an editorial titled, "Gwyneth Paltrow Is Now The Face Of Restorsea Skincare." Copyright © RESTORSEA LLC. All Rights Reserved.